Indeed, while the new spot doesn’t exactly shed any new light on anything substantive about the upcoming canon-correcting franchise-follow-up, it does contain a spectacularly memorable action sequence apparently set against the backdrop of a bright, sunny day on San Francisco’s Golden Gate Bridge. From the looks of things, Emilia Clarke’s Sarah Connor does no favors to the (however unfairly classified) reputation of female drivers when she flips the school bus that she’s driving for some reason into a spectacular gymnastic-like multi-revolution looping flip that would have even impressed the cold-hearted East German judge, should there have been a judge...or an East Germany, for that matter. The scene, however coincidentally, also brings to mind the recent remake of Godzilla. 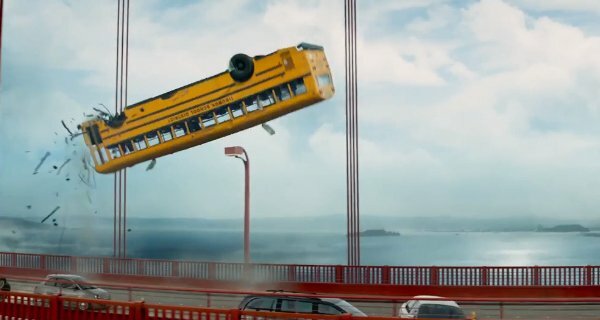 Exactly what is it about movies as of late that seems to cause them to revisit the idea of school busses on the Golden Gate Bridge during horrific disasters? Of course, Terminator Genisys will completely redefine the entire framework of the Terminator franchise, hitting it like a retroactive minigun of time-bending beliigerence. Jai Courtney’s Kyle Reese was sent back in time looking to protect what was described to him as a helpless Sarah Connor. (And, unbeknownst to him, carry through the robot apocalypse’s most important conception. Not a bad job perk.) However, what he will encounter is an empowered badass version of Sarah, raised by a Terminator reprogrammed for the cause of benevolence and apparently fatherly duties. Add a new T-1000 to the mix played by Byung-hun Lee and we have absolute carnage! 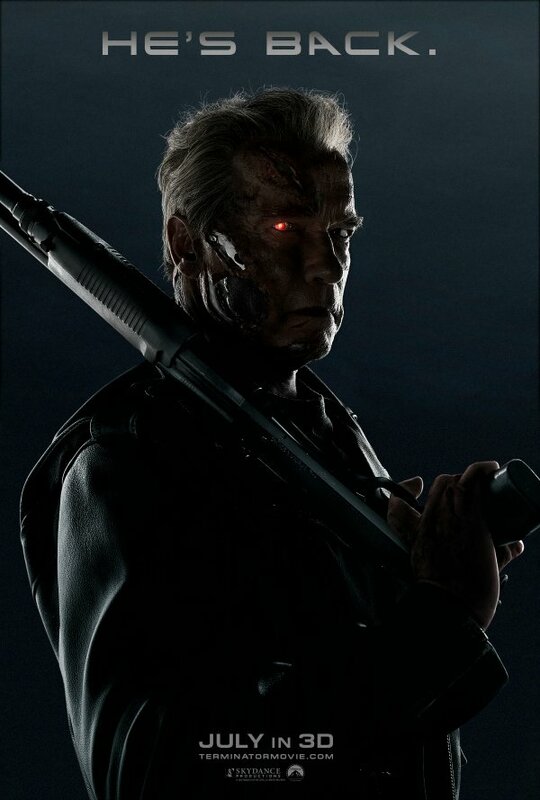 Terminator Genisys cracks the time barrier and hopefully makes sure that Terminator 3 or Salvation never happened when it hits theaters by means safer than a flipping school bus on July 1.